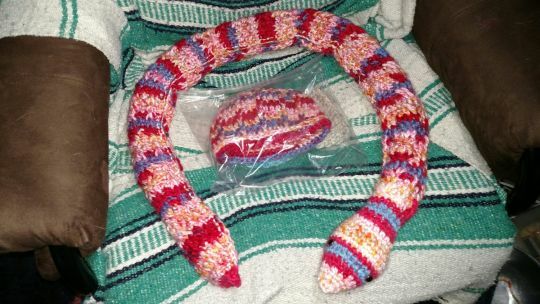 Hat and snake scarf…. Made for a 6 year old little girl who loves snakes! !